If you have a trampoline, take it down!!! They will fly and you can be liable. Putting your trampoline against the house or tying it down WILL NOT keep it from flying. 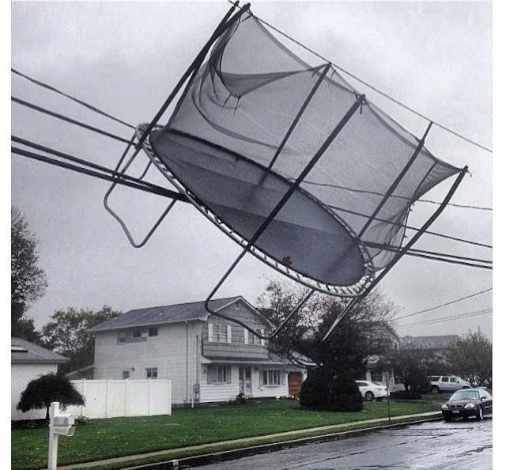 Take down any trampolines so they don’t become a flying hazard!